Actor Akshay Kumar restarted the trend for patriotic films about 5 years ago with movies like Special 26, Holiday – A Soldier is Never off Duty and many more, releasing them on the Indian Republic Day or Independence Day. Parmanu: The Story of Pokhran is based on the birth of India as a nuclear nation when it successfully does nuclear tests in secret in Pokhran, Rajasthan on 11th May 1998. This is a breakthrough film for director Abhishek Sharma who so far has made political-comedy films based on Osama bin Laden. The lead in the film is actor John Abraham who has also produced the film. The content is tight and well scripted by writer Saiwyn Quadras who has also written successful films Mary-Kom and Neerja. The cinematography by Aseem Mishra and Zubin Mistry is excellent. They are focusing on only one location, the desert in Pokhran and keep you gripped. You are on the edge of your cinema seat because the director Abhishek Sharma weaves the story efficiently. 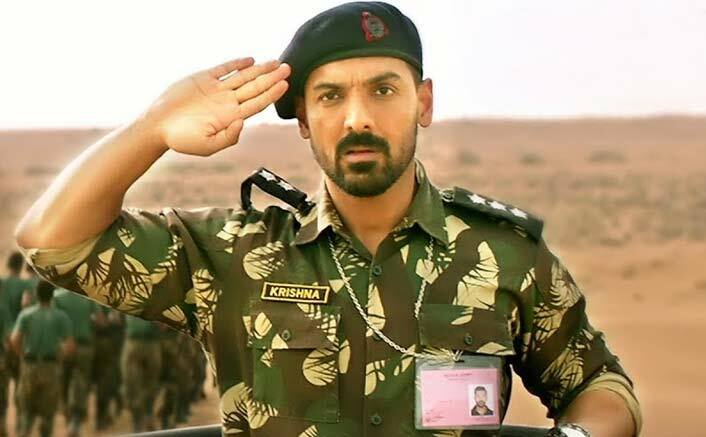 The cast of John Abraham, Diana Penty, Boman Irani, Aditya Hitkari, Vikas Kumar, Yogendra Tiku and Ajay Shankar is brilliant. This is the best time in Bollywood for the not so starry actors because they are full of technique and talent and even though they get 10 minutes of space in the entire film they leave an impact. This is one of John Abraham’s best films. Boman Irani plays the Principal Secretary to the Prime Minister and being the late 90s, his dressing style and talking style are of the present era so a slight disconnect.